Home/EltaMD/EltaMD Laser Post-Procedure Balm 3.8fl oz. 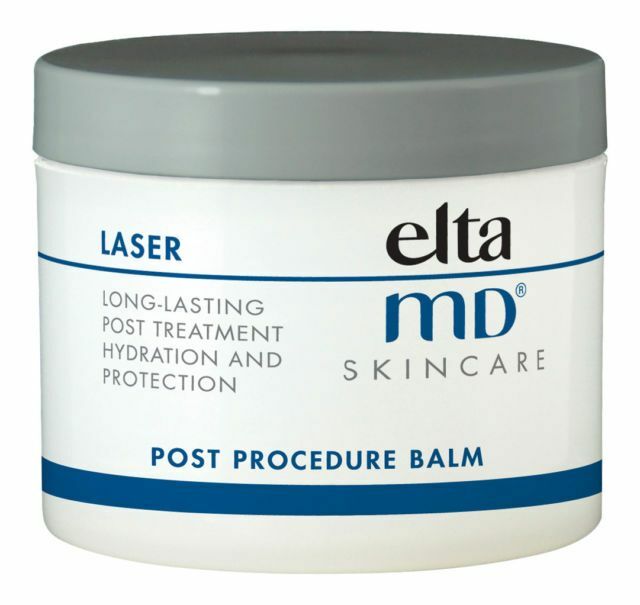 EltaMD Laser is a concentrated moisturizer to help facilitate recovery following CO2 laser, Erbium Laser or dermabrasion. Use immediately post procedure to soothe skin from drying and tightness. Moisturizes and strengthens damaged skin. Non-comedogenic and preservative free, safe for even the most sensitive skin. Healing ointment moisturizes dry and damaged skin. Suitable for post-procedure usage, this product provides comfort to skin after ablative and non- ablative treatments. For best results, apply to moist or dampened skin. Use liberally and as often as necessary. Petrolatum, Microcrystalline Wax, Paraffin, PVP Eicosene Copolymer.